Day 1: Arrival. City tour in capital of Armenia – Yerevan. Tour starting from Republic Square – symbol of modern Yerevan. Republic. It is the largest central town square in Yerevan, Parajanov House-Museum – This is a real home of Parajanov with authentic furniture and various maestro’s works – drawings, collages, assemblages, hats. Then visit to the Genocide Memorial dedicated to the Armenian Genocide victims in 1915. Lunch, dinner and overnight stay in Yerevan. 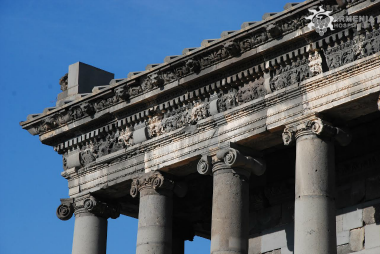 Day 2: Garni – Garni gorge – Geghard – Geghard plato. which is a unique architectural example of cave churches. The monastery of Geghard contains a number of churches and tombs, most of them cut into the rock, which illustrate the very peak of Armenian medieval architecture. 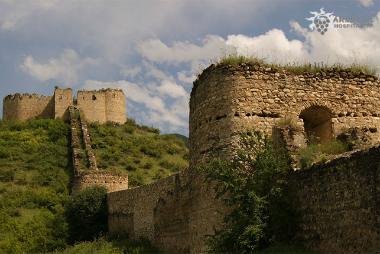 The complex of medieval buildings is set into a landscape of great natural beauty, surrounded by towering cliffs at the entrance to the Azat Valley and inscribed in UNESCO World heritage list. After a walk around tour of the monastery the participants will be transferred by cars to the Geghard plato to admire the grandeur of the gorge.Dinner and overnight in Yerevan. Day 3: Yerevan – Noravanq – Smbataberd – Tsakhats Kar – Hermon. The participants depart to Vayots Dzor marz, firstly visit Areni wine factory, followed by an excursion in Noravanq monastery complex. After lunch the off road lifting to Smbataberd starts, which is one of the biggest defensive citadel of mid-century Armenia. After walk around tour participants will move to the Tsakhats Kar monastery, which is located on the opposite hill of the stronghold. In the evening in Shatin village participants will have an opportunity to view with binoculars the bezoar goats, registered in the red book, freely walking in the nature. Dinner and overnight stay in the hotel of Hermon. Day 4: Hermon – Ukhtasar petroglips – Sisian. During the journey to one of the miracles of Syunyats region – Ukhtasar the participants will see thousands of petroglips carved by pre-human beings with stone tools, which are dated 6-7000 BC. Lunchbox, dinner and overnight stay in Sisian. Day 5: Sisian – Old Harjis settlement – Vorotan gorge (canyon) – Tatev – Barzravan – Goris. The participants will depart to Old Harjis settlement, which is one of the oldest villages of Vorotan gorge. It is distinguished with its buildings, unique cross-stones (khachkars), gravestones, as well as the breathtakingly beauty of the gorge. After Harjis participants will visit Tatev, travelling to the monastery by the world’s longest ropeway Wings of Tatev. 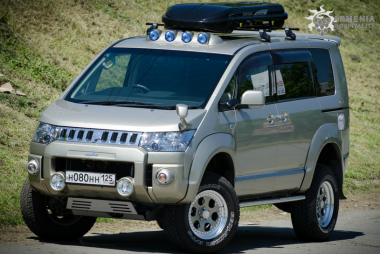 After walk around tour of the monastery and lunch the participants will continue the off road tour to Barzravan village. The whole route passes through the Vorotan gorge and differs with its unique beauty. Dinner and overnight stay in Goris. Day 6: Goris – Khndzorek – Hunot Canyon – Shushi. The participants depart to Artsakh, on the way they visit the old cave settlement of Khndzoresk. After checking in the hotel in Shushi they start a city walking tour to the fortress, St. Amenaprkich church, Jdrduz (canyon). If desired, the participants can hike to the Hunot canyon and admire the beauty of waterfalls called Zontikner (Umbrellas, the length of the hiking route – 5 km, 2-3 hours). Day 7: Shushi – Stepanakert – Gandzasar – Dadivanq. From Shushi participants depart to Stepanakert, the capital city of the Republic of Artsakh. After city walking tour the road will continue to the monument called “We and our mountains”, later Gandzasar monastery (130th century), which is registered among the top 7 Armenian architectural creations. 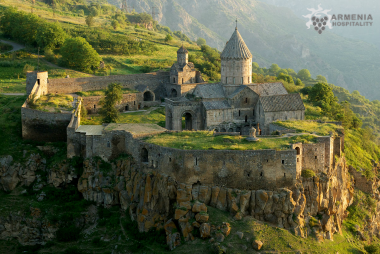 After Gandzasar we will travel to Dadivanq (4-14th century). The road lays through Tartar river gorge, which differs with its magnificent rocks and forests. Overnight stay in tents, near Dadivanq, on the shore of Tartar river. Day 8. Dadivanq – Zaur hot water springs – Armaghan – Sevan. The participants depart to Zaur hot water springs, which is a hot mineral water geyser. The participants will have an opportunity to swim in the basin. After lunch they will continue tour to Sevan. Depended on time available, it’s also possible to drive up to the Armaghan mountain, which has a crater lake on its summit. 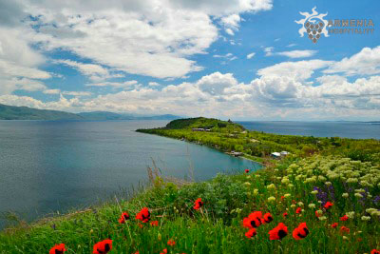 Dinner and overnight stay in Sevan. Day 9: Sevan – Bjni – Yerevan. The participants will depart to Sevanavanq, after walking around tour they will move to Bjni. Here we will go up to Mayravanq by cars, wherefrom amazing view opens on Geghama mountains, Ararat mountain etc. In Bjni after walking around tour of the fortress and the church the participants will travel back to Yerevan. Dinner and overnight stay in Yerevan.